Today is the first practice where you’re going to need a prop! Don’t worry though, you don’t need anything fancy. You can grab a bolster if you have one, otherwise, a pillow or a couple folded up blankets will do just fine for today’s 4 pose restorative practice. While I love vinyasa yoga, my love for a restorative yoga practice has been growing the last several months. Restorative yoga is just that…it’s restorative. It allows us to slow down our practice, slow down our bodies and minds, and we get to use a lot of props to support our bodies within each pose. 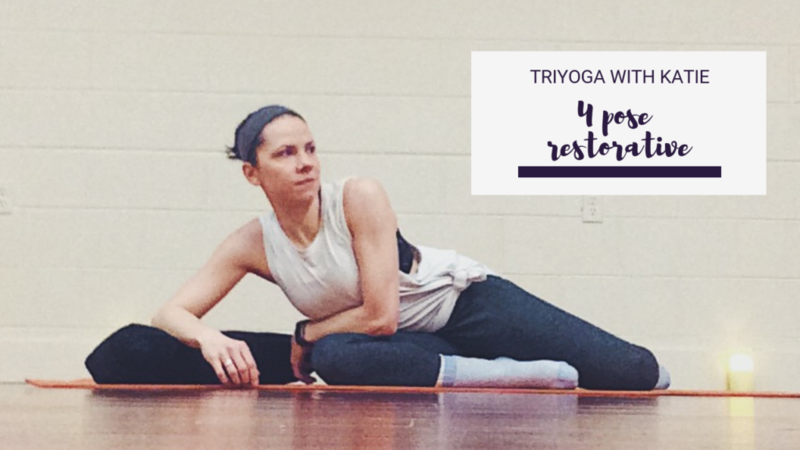 With restorative yoga, you won’t necessarily feel an active stretch as we’re using the props to put our bodies into each posture to take the work out of it, instead getting a really passive stretch. This is great to practice before bed, after a long week, or whenever you’re craving a little peace of body and mind. I hope you enjoy it! 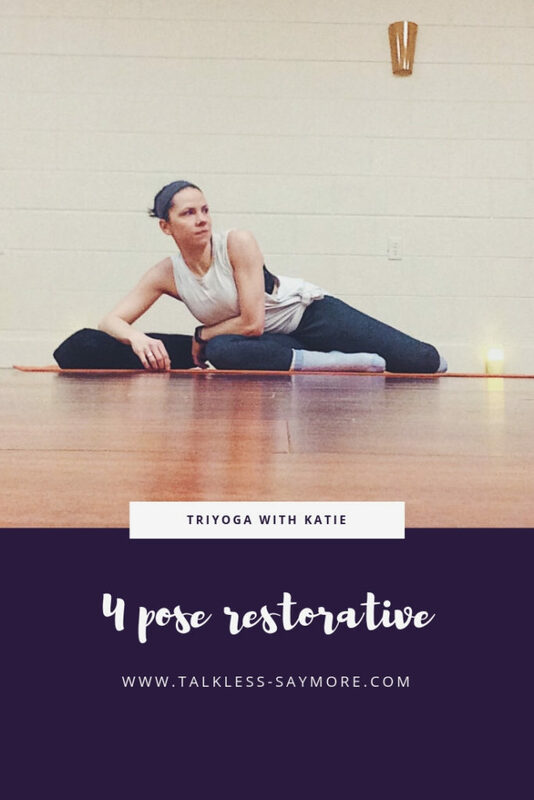 Give this 4 pose restorative practice a try and let me know how it goes! Do you want to see more restorative classes? What other classes would be beneficial for you? Let me know in the comments below! Hey! Thanks for sharing this awesome restorative practice. I did it in my living room and really enjoyed it. I love yoga and have started to do it more often. I will have to give this a try! Sandra Laflamme recently posted…Friday 5: 5 reasons why spring running is so great!